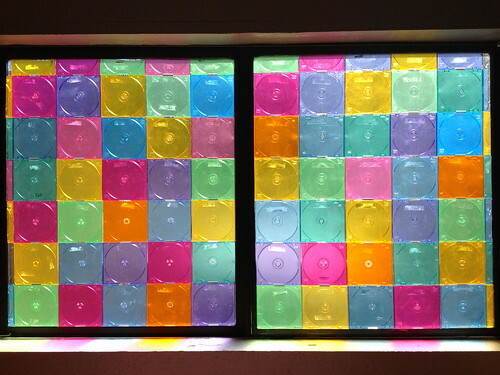 My good friend Patti, recently presented me with a ginormous box of empty CD jewel cases, and asked me if I had any creative ideas for them. 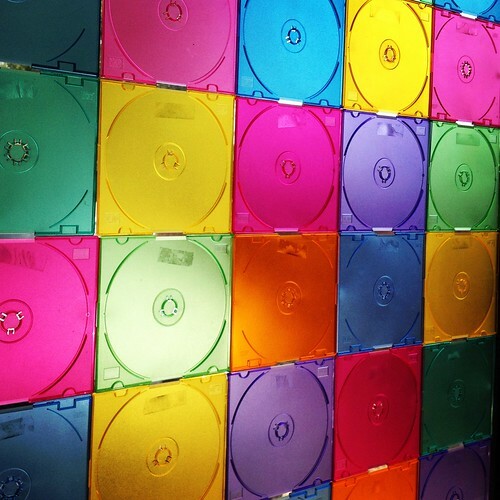 I love a repurpose challenge! I took a huge stack home with me and here’s what I came up with. We now have an awesome and free “stained glass” window in our family room. 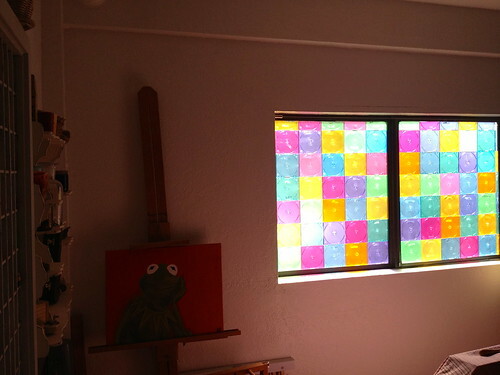 I just stuck them to the window with double stick tape. The edges were tricky because these things don’t like to be cut. They’d rather crack, snap and send pieces flying across the room. Watch your eyes! With patience and a little finesse, I managed to cut them down to fill in the gaps. It’s a fun and looks really cool at night. 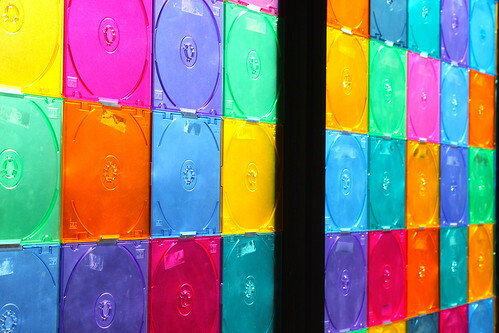 The best thing is when we get tired of it, it will be super easy to take down. 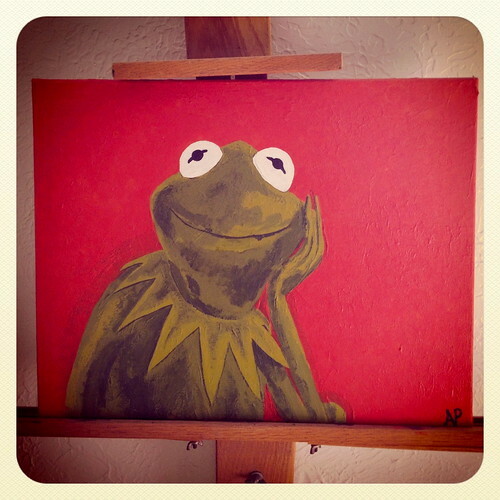 Here’s a close up of my never-gonna-be-finished Kermit portrait, that had a cameo in the first photo. For 5 years I’ve been saying I will finish him…some day, and haven’t yet. When I tried to donate him to Goodwill, Der and the boys pitched a fit, so here he sits ever so patiently waiting to be completed…one of these days…maybe.